“The doors of the inn open and two enormous orcs enter, scrutinizing everybody grimly. One of them makes a sign to the entrance, then a beautiful woman in a figure-hugging silk dress enters the tavern. Her face is almost completely hidden behind a black shroud, her walk is cat-like and she attracts the men’s gazes. She approaches the portly innkeeper and talks to him briefly, then he points towards the characters. The woman sits down at a reserved table behind a screen. 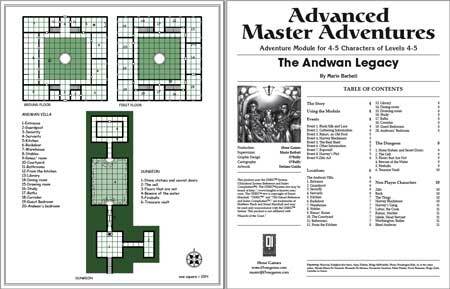 Welcome to the Andwan Legacy for OSRIC™. This is an old-school fantasy adventure giving you also the look and feel of past days fantasy gaming. For further information about OSRIC™, please visit this link. This is a generic adventure set in a small town. It can be inserted easily into any world. 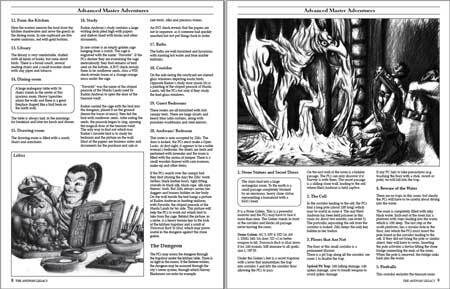 The adventure is designed for a party of four to five adventurers of levels 4-5, but it can be scaled easily by modifying the number of creatures. Some magical items may also be helpful. The adventure involves role-playing opportunities and fighting action, so the referee must read the whole text in order to familiarize him or herself with the various characters.